Note: Payment fulfillment by Home Chef. Give InKind has an affiliate relationship with many of the advertisers on our site, and may receive a commission from products purchased via this link. Give a gift your loved ones are sure to love. 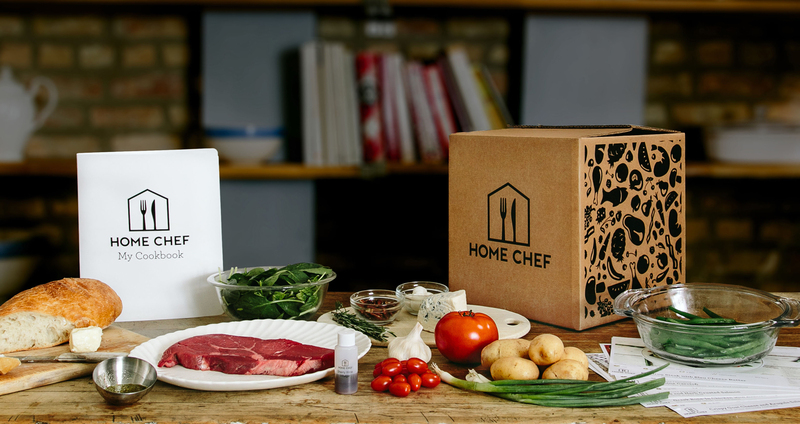 Home Chef takes the work out of making dinner. Our weekly deliveries of fresh, perfectly-portioned ingredients and easy-to-follow recipes makes dinner special and simple to prepare. Why We Love This Gift: Managing a crisis - or even just facing challenging but navigable circumstances - is much easier with tangible support. A meal kit delivered and ready to cook enables those in need of support to fill their house with the smell of a warm, nutritious, and tasty meal - without having to plan or shop for it. This is a great gift for people in the sandwich generation - those caring for kids and aging parents. It is a great gift for a single parent who loves taking care of things - but could do with a lightening of the load. What to Express in Your Card: I was thinking about how much you have to do - work, kids. How is your mom doing living independently? I wanted just to say that I am always so amazed at how you keep it all together. I wanted to send you a meal just to say that you are amazing. I send it along with lots of love.